Our game room is sometimes like its own mini gaming convention. We have half a dozen widescreen LCD 32" TVs with a variety of consoles covering many types of gamers. While we try to focus on games from Japanese companies supporting anime fandom, like Super Smash Brothers Brawl or Naruto, we also hold tournaments for games like Halo Reach and more. 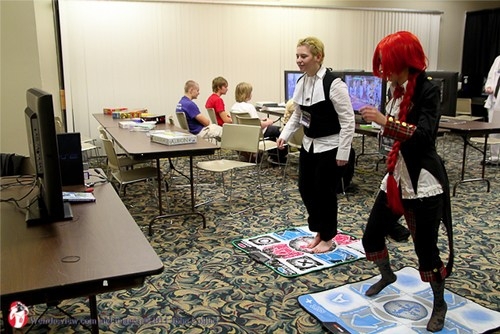 The video game room at our convention is an excellent place to hangout while waiting for an awesome panel, or when trying to show off your gaming skills.